**adopted**NERO – loveable, daft young Lurcher! 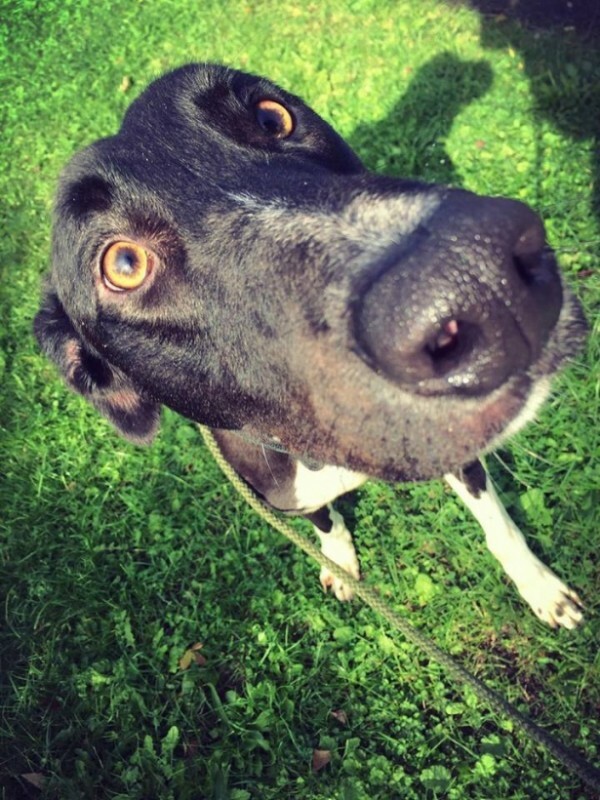 Nero is a beautiful black and white 12-18 month old Lurcher with so much character! 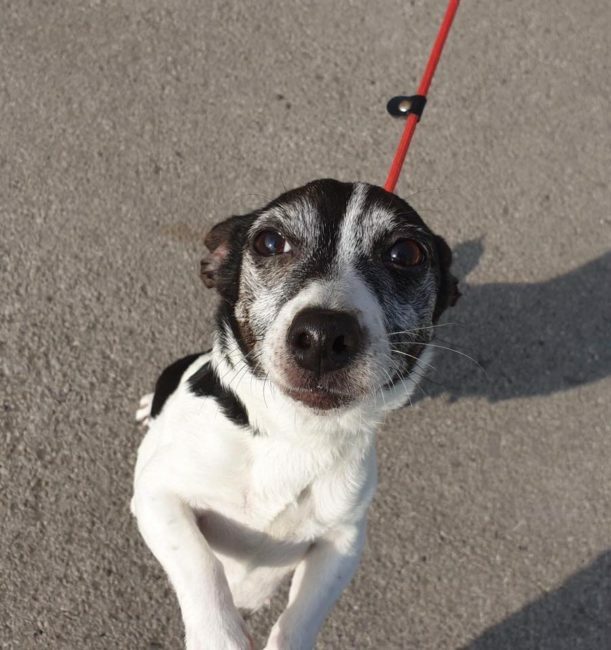 He is a very friendly chap who had sadly found himself in stray kennels before arriving with our rescue. Nero absolutely loves his food, and will do anything for a treat! He sits very nicely on command and will wait to be given a treat. Nero is very well behaved in his kennel and is very clean, so we think he will be housetrained. He generally walks nicely on the lead and doesn’t pull (can be a bit silly and try to jump up at times! ), he does seem to have a strong chase instinct so wouldn’t be able to be let off the lead in open areas and will need a very secure garden. He seems to really like other dogs and would do very well living with another younger dog of similar breed who he can run and play with. As Nero is a young dog, he does get silly and playful at times and is clumsy with it, so wouldn’t be suitable to live with children under 10. He is a fantastic young boy with tons of character and really deserves to find a caring, secure forever home ASAP.